I enjoyed Halo 4 for new enemies, the cut-scenes, a nice clean look (Halo Reach was ugly and drab), H4 was the master chief again and on his own - no noble team or blue team. Plus 343 made the pistol serviceable again for the first time in forever. In Reach, Bungie was like, "yeah we're gonna make you shoot someone five times, all with bloom." Pfft pointless weapon. I'm interested in replaying Reach again to see if my opinion has changed, but it is close to my least favorite campaign, maybe tied for Halo 5. I think Halo 5's campaign is the worst, but Reach is pretty close for me. My order would be as follows: CE > H4 > H3 and then everything else. I think most people do or at least the general consensus is that Reach is one of the better campaigns. It is hard for me to play through though because of the changes to physics and gun-play. Not as floaty as previous halo games. The introduction of abilities was probably inevitable but i still think that was a mistake. Then add bloom to the equation and the drab graphics. I just didnt really jive with Reach. There are things i did like though. While a lot of people love the introduction of the pro-pipe, my favorite new weapon in Reach was the needle-rifle. Sad it only made it into one game. I enjoyed the jet packs and i think the jet packs with fall damage was smart. Fall damage should have been increased imo, and been a thing in Halo 4. EDIT: Hey @Havoc2049 I forgot to mention that I got through The Thursday War. It's the 2nd in the Kilo-5 trilogy and i'm just reading through it to know what happens. So far, neither of the first two books has really impressed me. I hate so many of the characters lol. Dr. Osman - thumbs down. Parangosky? Thumbs down. Naomi? Thumbs down. Vaz? Thumbs down. My favorite characters are Dr. Phillips and maybe Mal. Jul 'Mdama and BB are just okay. The reason I even brought it up though was because I'm taking a side break and reading Silent Storm now. Only through the first two chapters, but i'm already more interested in what is going on than I have been through much The Thursday War. Anyway, the reading continues. I've also been playing some more TMCC too. I've been breaking up my time in HCE with achievement hunting. One HCE note, though. I've gotten two different completely different messages from random players that I've been matched up against. One guy felt sorry for me because I kept getting paired up with really bad players and having to match up against him and better players. Nicest message i've ever received on xbox live lol. Then I got the opposite end of the spectrum. Some guy threw some derogatory comments my way, making me fun of me. Not sure why though. He was playing with a full-team and I kept getting not so great teammates. He'll probably enjoy his temp ban because i reported the messages. I actually own the Kilo 5 Trilogy but never read them. The reception on the internet to all those books was so bad that I put off reading them. I’ve actually been playing a decent amount of MCC. I’ve been going after the nameplates and already have the YY one. Playing through Halo CE on Legendary and I’m about half way through. I’ve finished H3, H3 ODST and 4 on Legendary, but only Heroic on CE and H2. Then I’ll get the Legendary achievement. I’ll be on tonight after work is you are game. Good choice! I've already gone through the first two, so i feel obligated to finish the third. Honestly, I am interested in seeing more on Jul. I know he plays a big part in the last book. Anyway, I wish I could get in some games tonight. I'm at work right now and working nights through Sunday. I still need to play through all but CE on legendary and just can't get myself to spend the time to do it. They take so long and I'm not motivated enough yet. At some point eventually. Edit2: lol more books came into the library. Ive got some reading to do! I'm on a roll! 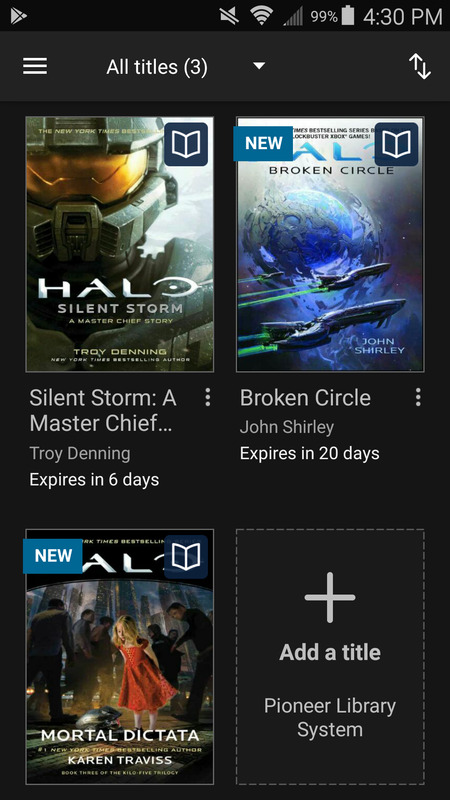 Just finished reading Silent Storm. A much more enjoyable read, shorter too, than Glasslands. Time to bite the bullet and start Mortal Dictata. The more books I read, the cooler Sergeant Johnson becomes. 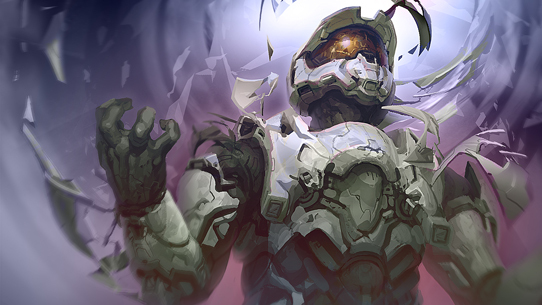 It's cool to see the relationship he developed with the spartans before the first events of Halo ever happened. He is so down to earth. Regarding Silent Storm, I loved following the reactions the Sangheili had when dealing with the spartans. Just completely underestimated them. I also thought the book was really sad with almost all of the black daggers getting killed or captured. 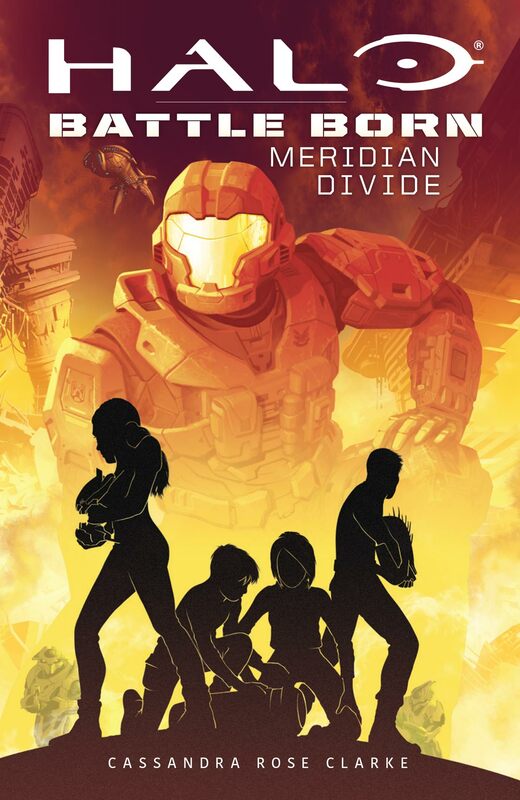 Maybe the author did it just to lighten the mood, but finding out that the captured ODST's literally laughed in the face of their torture at the end was pretty cool. Was frustrated dealing with/reading everything Nyeto and all the traitors did. Another great Battle Born cover.